Your customers are changing faster than ever before. In the past, you were compared to your competitors. Now your customers compare you to everyone they do business with – including innovation powerhouses like Uber, Amazon, Netflix, Airbnb and Tesla. 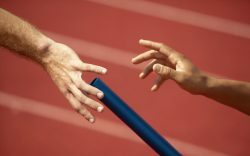 Expand your competitive set beyond your direct competitors. Why gaining valuable insight into customer’s habits and behaviors means playing with the fun tools and devices they use at home. Check in on any systems you’ve previously automated to make sure they are still functioning as well as they could and should. Make sure your automated systems (like phone trees/IVR) function as well as they could and should. Read the article yourself (even though we read it so you didn’t need to) here. Welcome to Experience This, where you'll find inspiring examples of customer experience, great stories of customer service, and tips on how to make your customers love you even more. Always upbeat and definitely entertaining, customer attention expert Joey Coleman and social media expert Dan Gingiss serve as your hosts for a weekly dose of positive customer experience, so hold on to your headphones. It's time to Experience This. Get ready for the very first episode of the Experience This show. Join us as we discuss the dirty little secret your customers don't want you to know, kids talking to Alexa, and customer frustration detection. Cheaters, ice cream, and temper tantrums, oh my. Just because you have required elements of your business doesn't mean they need to be boring. It's time to get creative, have some fun, and make people sit up and take notice. Get your customers talking when you make the required remarkable. Joey: Okay, Dan. I have a little quiz I want to try with you here. I'm going to say the name of a brand, and I want you to say whether or not you've personally experienced this brand. I know these are all brands you know about, but I want to see if you've actually tested them out or tried them, okay? Dan: All right. Hit me. Dan: Pretty much every day. Dan: I have ridden in one, but I have never driven one. Joey: Oh, dude. You haven't lived. We've got to get you to drive one. All right. Here's why I ask. Our mutual friend, Shep Hyken, wrote an article in Forbes recently called "Are Your Customers Cheating on You?" I absolutely loved it, because in the article, Shep talks about a common fascination that both he and I have, and that's the changing face of the customer. What I mean by that is, the customer today is changing faster than ever before. In the old days, your customers used to compare you to the competition. You know, the people who were in your town, maybe in your local area, the same industry. Then slowly, they started to compare you to folks online. Now, your customers compare you to every customer experience they have with every brand they interact with. The competition isn't just the competition, although they're still there, of course. It's grown to include everyone who creates a customer experience. Joey: He is a prince. He's a great guy. If you're not paying attention to Shep, check him out. Joey: Oh, that's a beast. Dan: Yeah. With any credit card, this is the way that people engage with their credit card company. As we built this, we realized that we weren't competing against other credit card websites. We were competing against Amazon, and Netflix, and Facebook, and Google, and all these popular sites that people went to, because they're the ones that set the standard for what a good experience looks like on a website. What happens is, customer expectations continue to rise based on the experiences they have with other brands, and once they see what a great experience looks like, and this is not shocking, they then want that all the time. Joey: So true. There's a great quote in Shep's article from Graham Cooke, the CEO of Qubit. He said, "Brands like Uber, Amazon, Netflix, Airbnb, among others, have not only disrupted their respective industries, but have changed how consumers shop for products and services. When customers are exposed to far better and more engaging and personalized customer experiences, they apply these newly raised expectations to other brands and industries. You know, far better, more engaging, personalized customer experience. The blueprint is really laid out in a pretty obvious way." Dan: Well, I think that guy's a pretty smart guy, because he basically said what I just said. Dan: I love him already. But all kidding aside, I'd add one more word to that "engaging and personalized" part, and that word is "memorable." Because to me, when experiences are memorable, we are more apt to share them with our friends and family on social media, and that has a huge impact on the brand, because now more people know that our brand has a great experience, and they know it from a really reputable source. Not from the brand, not from the CEO, but from an actual customer who happens to be a friend of ours. Joey: Absolutely. I mean, I think this is when people talk about a remarkable experience, right? It's worthy of making a remark about, and this is the core essence of word-of-mouth marketing. I think as we look at loyalty in general, it's really changing across the board, because customer experience is changing so much. I had an experience the other day where I ordered from Amazon, and like you, they show up at the house, the UPS delivery guy, almost every day, and Amazon delivers my package for free, two days later. Well, I happened to go on another site to buy something that wasn't available on Amazon, and they wanted to charge me for shipping. I thought to myself, "This is ridiculous. Why do I have to pay? Because Amazon doesn't make me pay." Amazon took something that was required, the shipping, and made it remarkable by making it free and fast. I think that type of behavior is cutting across all brands and all brand experiences. Dan: No question. Amazon has set the standard for free shipping, so now we expect that everywhere. 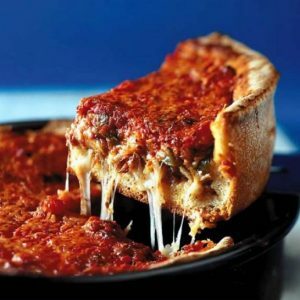 My brother just moved into a new house, and I wanted to send him a housewarming gift, and he is no longer in Chicago like I am, but he still loves Chicago pizzas, so I went and looked at two major Chicago pizza brands that ship throughout the country. One of them offered four pizzas for a certain price, and then when I went to check out, they added $24 in shipping. Joey: Which, if you've had Chicago deep dish pizza, which is what I presume it is, right? Joey: Those things weigh like 78 pounds a pizza, so on one hand, I can understand, but on the other hand, why not just bake that into the cost of the pizza? No pun intended. Joey: Right? You know, it's because then you don't see the line item for shipping, and no one likes the line item for shipping except UPS and FedEx. Joey: They're the only ones that like that. Dan: I will tell you that for four pizzas to ship, that basically is the equivalent of "buy five, get four." In other words, it's like an extra pizza. Joey: Ah, gotcha. Okay. Gotcha. Dan: Except you're not paying. Well, I go to the competitor, and they're offering four pizzas for a couple dollars more, but free shipping, and shipping's included. Joey: And guess who got the order, folks? Dan: Guess who got the order? Right. It was so easy for me to make that decision. Yeah, Amazon has absolutely set that standard. I don't know why anybody charges for shipping anymore. Other examples, I have found that there will be a movie that's free on Netflix, and then I'll go to Amazon Prime, and they want to charge me $4 to rent it. I'm like, "Wait. It's free on Netflix." Joey: "It's free on this other site. Why can't I get it there?" Dan: Yeah. Why would I ever do that? Or even things like, you know, you mentioned Uber. You get a great Uber drive the first time you use Uber, and you're like, "Wow. This is awesome." Then you expect every Uber driver to be just as conversational, or just as talkative, or whatever, friendly. The fact is, most of them are great, but they're all different. They're different people, and you don't get that same experience every single time. Joey: Totally. I think if I go into one more corporate office where the marketing team talks about their competition matrix, like, "These are the people that are doing things." And I look at that board, and it only is people in their industry, I'm gonna go crazy. It's like, no. 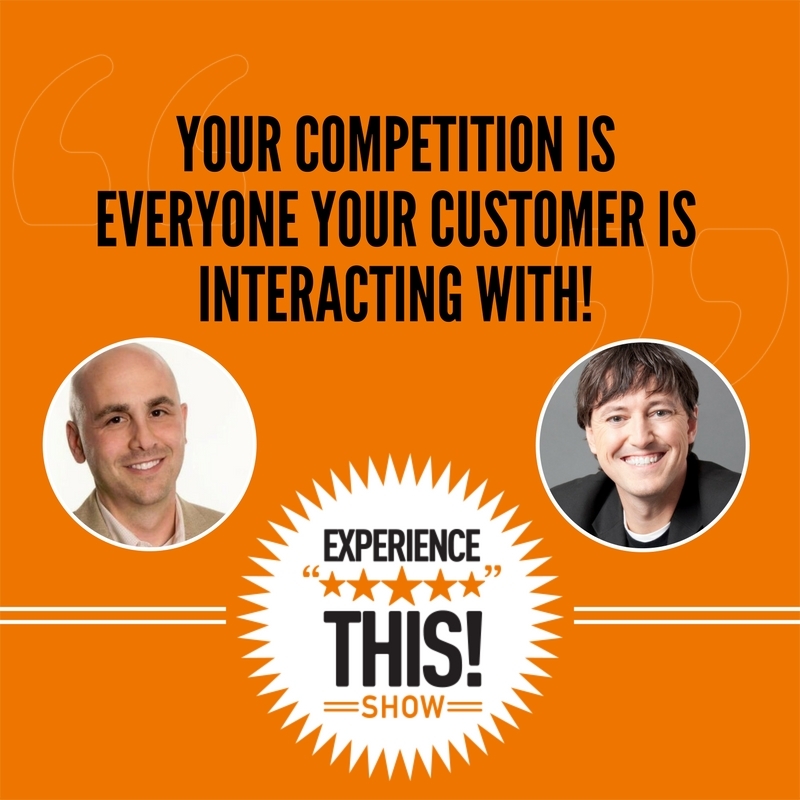 Your competition is everyone that your customers are interacting with. Dan: Absolutely. Our takeaway is here, your customer is having remarkable experiences with or without you. Hopefully with you, and it's changing their expectations. What are you gonna do about it? The first thing is, you've got to expand your competitive set beyond your direct competitors, which means don't just look at the people that you think are your direct competitors. Look at everybody that your customer may be doing business with, or a sampling of that, so that you can ask yourself whether your experience is as good as that. The second thing is, sample those brands yourself. I think the reason for your quiz at the beginning was to make a point, which is that we all should be experiencing these brands that are doing really, really well with the customer experience, so we know what a great experience looks like, and then we can mimic that in our own industries. Joey: Totally. Briefly, Dan, forgive me for interrupting, we want to experience what they're doing now. Just because you ordered from Amazon when it first started, have you experienced Amazon now? Just because you rode in a Tesla when Teslas first came out, have you ridden in the SUV? You know what I mean? It's not enough to just have had a taste of it once before. You need to stay up on it because your customers are staying up on it. Dan: And frankly because these are the companies that are continuing to innovate around the experience, and so they're the types of companies that you want to emulate. Once you do that, take those learnings and incorporate them into your own business, whatever business that is- you could be a small business, you could be B2B, B2C, it doesn't matter- you can take the learnings from those brands that are doing it really well, and incorporate it into your business so that your customer experience is just as remarkable and people talk about you. Joey: Dan, I have to ask. Do you guys have Alexa at your house? Joey: Gotcha. You're kind of familiar with the joys of being able to talk to Alexa. We had an interesting experience the other day that I thought was, in many ways, prophetic of where AI is going and what's happening. My wife often will talk to Alexa and have Alexa put things on the shopping list, and then when she goes to the grocery store, she just calls up the shopping list and is able to pull things off the list that we need to get while she's at the grocery store. What's interesting is, one of our Alexas- we have two- one sits in our kitchen. Lots of times at night, if I'm doing the dishes or that, or I notice we're out of dish soap, I'll say, "Alexa, add dish soap to the shopping list." Then I don't have to remember to tell my wife, and so we never run out of dish soap. The other day, she came to me and she said, "Did you add ice cream to the shopping list?" I said, "No. I didn't." She started laughing and she's like, "I think Lochlan did." Lochlan's our four year old. I actually caught him not long after that trying to add things to the shopping list. In his little four year old voice, he doesn't say "Alexa." He calls her "Balexa," and he'll just say, "Balexa! Add marshmallows to the shopping list." The funny thing is, my wife doesn't know, because Alexa doesn't differentiate between whether I'm adding something to the shopping list, or she is, or whether our son is. If my wife doesn't check in with me, she just presumes I'm the one ordering all the candy and treats. I thought this was a really funny variation on a theme, from back in the day when we were kids, going through the grocery store. You'd try to throw something into the cart and hope mom and dad didn't notice when it came to the checkout. This is kind of the modern version of that, right? I thought there were a couple of funny things, not only just the fact that this was happening, but our kids, and I would say anybody certainly under the age of 10 today, they're growing up with AI being a regular part of their life. My boys will request that Alexa play music. They will ask her to tell jokes. As a family, lots of times when we sit down to dinner, we'll all ask Alexa to play Jeopardy, and she runs through the questions. I just think it's really fascinating from a customer experience point of view that as we think about AI and how it might be used to create great customer experiences, I think it's important that those of us that are involved in creating customer experience get some of these tools and devices and play around with them. If nothing else, just to see how they can influence habits and behaviors in our customers. Dan: For sure. I mean, Alexa and others like it are creating entire new ecosystems. Apple is, of course, credited with probably being the best at that, when they created the iTunes ecosystem. I remember when my wife and I sold our soul to Apple and got rid of all of our CDs, moved them all onto iTunes, and we're like, "Well, either this is going to work and we're going to be really happy about this, or we just lost our 300 CD collection forever." So far it's worked, but these ecosystems that are set up, I mean, you think about Alexa's from Amazon, right? And what does Amazon want? They want us to order more products for them. The shopping list thing makes a lot of sense, but then you add all of these other things to it and it becomes an ecosystem in and of itself that, you're right, kids learn to interact with probably more easily than adults. It definitely is very natural for kids to, you know, probably not even just ask for jokes, but probably tell their own jokes, and see how she reacts. It is like talking to another person. I definitely think it's important for brands to understand what these new ecosystems mean for their business, and not rush to participate in them just because it's the hot new thing, but really try to figure out if it's something that can drive their business. Joey: I totally agree with you, Dan. I think all too often, and senior leaders in companies often get that shiny object syndrome, where they'll come into a meeting and say, "Okay, we need to have an AI strategy." Or, "We need to be incorporating voice in Alexa." I think personally, it's less about that, and it's more about just creating some familiarity within yourself and within your team, with how these products work, and how they interact. One of the things that I actually really love about Amazon and what they've done is, while certainly they're trying to create an ecosystem with Alexa, there are kind of two variations on a theme. You can say, "Alexa, order more trash bags." And it will automatically place the order of the trash bags you order from your Amazon account. Or you can say, "Alexa, add trash bags to the shopping list." What that does is it doesn't actually place the order. It just keeps the list. They have a similar approach if you use the Amazon TV. You can search within that app, if you will, or within that interface for a movie, and it will tell you, "Is that movie on Netflix? Is it on Amazon? Is it on HBO?" They're willing to send you elsewhere, and as a result, I think that really rewards the customer and says, "Look, we want to be the place you come to to ask these questions. We'd love to have you do the business with us, but if you're going to do it with somebody else, that's okay, too." Dan: Yeah. Huge credibility factor there. I mean, Zappos is really known for that as well. Like, you call Zappos and if they're out of a particular kind of shoe that you wanted, they'll help you find the shoe at a competitor, which sounds ridiculous, but it gives so much credibility to the company, and it creates so much loyalty that if a company does that for you, you know you're coming back. Joey: Totally. I think the key, the three key takeaways, if you will, from the Alexa experience is that we all should try to experiment a little with some of these AI technologies, whether that's Google Home or Alexa or Siri, and get more comfortable using them. Additionally, try out these new ecosystems, not from a point of view of, "Oh, we need to have a solution in there." But rather, "We need to at least have a working knowledge and consider how this might impact our business." Finally, recognize the future is upon us, and the world we're growing up in, things are changing so fast that our kids are going to see AI and talking to machines as being as normal as talking to another human being. Whatever we can do, I think, to be around younger generations and watch how easily they adapt to these new changes, if we can adopt that same type of spirit and openness ourselves, it means we're going to be ready for the future. There are so many great customer experience articles to read, but who has the time? We summarize them and offer clear takeaways you can implement starting tomorrow. Enjoy this segment of C-Express, where we read the articles so you don't need to. Our C-Express article this episode is Three Ways Companies Can Simplify Customer Service and Make People Happier. It comes from an article by Mary Shacklett in Tech Republic. This article's kind of key takeaway or finding was the fact that everybody wants an omni-channel experience, right? They want a unified experience across all their dealing with a company, where if they start on the phone and they switch to a chat, and they later end up in an email, they want to make sure that the conversation carries all the way through. The problem, when everybody originally started talking about creating an omni-channel experience back in the early 2000s is that as a customer switched between the channels, they would need to repeat their name, and their phone number, and their account number, and their issue, and really tell the story from scratch. What's good is that here we are in 2017, and that's all gone, right? No. Not at all, folks. It's still there. This is still a major problem with many companies, that the experience you have on one channel is starkly different from the others. Dan: This article actually recommended three different solutions, which I thought made a lot of sense. The first one was to use AI for help with frequently encountered issues. It's also important to make sure that you update your CRM afterwards so that you're keeping track of both the issues and the specific customers. The second was to develop better customer frustration detection, and to record customer emotions in a single database. Then the third was to make sure that automated systems function well. We've all used a phone tree, also called an IVR in the business, and not been able to figure out how we get to a human. That is incredibly frustrating to people. These are great examples of where simple is better, and it doesn't take that much effort for a company to make the experience simple for the customer. Joey: Absolutely. I think one of the things I loved about this article was the emphasis on simplicity. I think the discussion of phone trees and IVR is a good one, Dan, because how many of us ... Well, two things. Number one, I spend most of my time when, the second I hear a recording, I start pounding the zero button on my phone like it's my job. I'm like, "Human being. Human being. Get me to a human." Whenever I have the opportunity to yell "representative" back to the AI, I do it, because I'm the kind of person that wants to talk to an actual human being to process these things. Dan: Wait a second. Do you yell "representative"? Joey: I do. My wife will sometimes tease me, and my kids look at me like, "Daddy, you're crazy." Because I'll be on the phone and I'll just be saying, "Representative. Representative. Representative." Until I actually get to a human being. With most of the more advanced IVRs now, if you say it and you say it with a little bit of a sense of frustration or irritation in your voice, I've noticed on a couple of companies that I call regularly and need to talk to a representative, it goes through faster the more intensely and intently I say "representative." I don't know if that's just false soothing that I'm giving myself that it's actually moving faster, but it seems like it is moving faster. What I think would be really interesting, and I don't know if this happens on the backend, but hopefully it does, is if they were able to use AI to say, "Okay, this person started screaming 'representative' the second they got onto our phone tree. We need to make a note that they were irritated at the beginning of this call." That's that whole idea of recording the customer emotions in a single database. It never ceases to amaze me how many companies pay for CRM systems that no one uses, or there's a small portion of their employee base that actually uses the CRMs or even has access to the CRMs. Dan: To that point, if you go to record the emotion, you've got to then do something about it. The person that was frustrated and yelled "representative," the best case scenario would be that the next time you call, you don't actually have to go through the IVR at all, because they know that you're not interested in it, and they know you just want to talk to a human. Wouldn't it be amazing if the next time you called, a human picked up? Joey: Absolutely. You know, years ago I did business with a company that had one of the best setups. I would order some packing materials from them, and so I did this, I was getting ready to move, and I ordered a bunch of packing materials from them, and then of course like often happens when you do a move, as we started packing, about a week later, I realized I had grossly underestimated the amount of bubble wrap we needed. What I thought was really cool is when I called them back, they answered the phone and they said, "Oh, is this Mr. Coleman?" I said, "Yes, it is." They said, "Let me guess. You need some more packing materials." I said, "Wow. Absolutely." They said, "You know, last time you ordered the large roll. Do you need another large, or do you want to go up to the extra large." I said, "Well, an extra large would be fantastic." She said, "Same mailing address?" I said, "Absolutely." "Same credit card?" I said, "Yeah. That'd be great." She said, "Is there anything else you need, or can I let you get back to packing?" I was blown away. That entire conversation took like 15 seconds, and I was thrilled that they had pulled the information from my previous order and just presumed that I'd order the same thing. I mean, I think there's a huge opportunity here, regardless of your business, to think about, "How can we make it easier for the customers?" If you order from a takeout restaurant, for example, and you're used to placing the same order every time, how cool would it be if they said, "The usual order?" And you were able to say, "Yes." And that was it, and you were good to go. I think at the end of the day, we really need to do a better job of tracking what our customer wants and needs are, making sure that we're capturing their feelings and emotions, not just tracking the facts, and have these in CRMs that everyone in the company can access, not just the person who wears a customer service title or answers the phone first. Joey: Okay, Dan. The number is 57%. What do you think it refers to? Dan: The percentage of time that I think your jokes are funny? Joey: Wow. Wow. That hurt. I thought we were friends. No. Actually, 57% of purchase decisions are already complete by the time your customer actually engages with you. Let me break that down. 57% of the time, the customer has already made up their mind to do the purchase before they even talk to you. Dan: I actually think that makes sense. I mean, there's so many ways for people to research purchase decisions before they even walk into the store or go to your website, right? I mean, what's the first thing we do? We Google it, and we look at customer reviews, and we look at prices, and we comparison shop. A lot of that research happens before you ever even talk to somebody. Joey: Absolutely. Not only does the research happen- let's be candid- the word of mouth all happens before they talk to you. That's how they ended up in front of you. Somebody told them that they had an amazing experience interacting with your business, and so they come to you and in many ways the sale is already made. I mean, this is the salesperson's dream, to have the customer or the prospect show up ready to buy. What I love about this data, it comes from our friends at Oracle CX Cloud. Hey, everyone. Thanks for sponsoring our show. We really appreciate that. They have an ebook, Digital Transformation: The Three Areas of Customer Experience to Invest In Right Now, and you can get it by going to Oracle.com/ConnectedCX. They'll allow you to download it immediately. It's a great little resource here, especially if you spend any time trying to convince people in your company that they should care more about customer experience. Go to Oracle.com/ConnectedCX. Download the PDF. You don't have to give them an email. If you want to give them an email, you can get some other CX reports as well for free, but go check it out, and thanks Oracle CX Cloud for being our wonderful sponsors. Wow. Thanks for joining us for another episode of Experience This. We know there are tons of podcasts to listen to, magazines and books to read, reality TV to watch. We don't take for granted that you decided to spend some quality time listening to the two of us. We hope you enjoyed our discussions, and if you do, we'd love to hear about it. 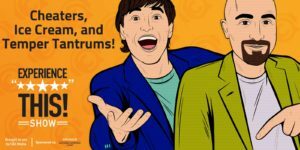 Come on over to ExperienceThisShow.com, and let us know what segments you enjoyed, what new segments you'd like to hear. This show is all about experience, and we want you to be part of the Experience This show. Thanks again for your time, and we'll see you next week for more Experience This.